Sophisticated 3D models derived from high resolution aerial photography are underpinning the most up-to-date flood risk map of the UK. Working alongside Ambiental Risk Analytics (ARA), aerial mapping company Bluesky has supplied photogrammetrically derived digital terrain models (DTM) for the whole of England, Scotland and Wales. Combined with river flow and rainfall data these 3D models allow ARA to deliver a range of flood risk information for any property in the UK. 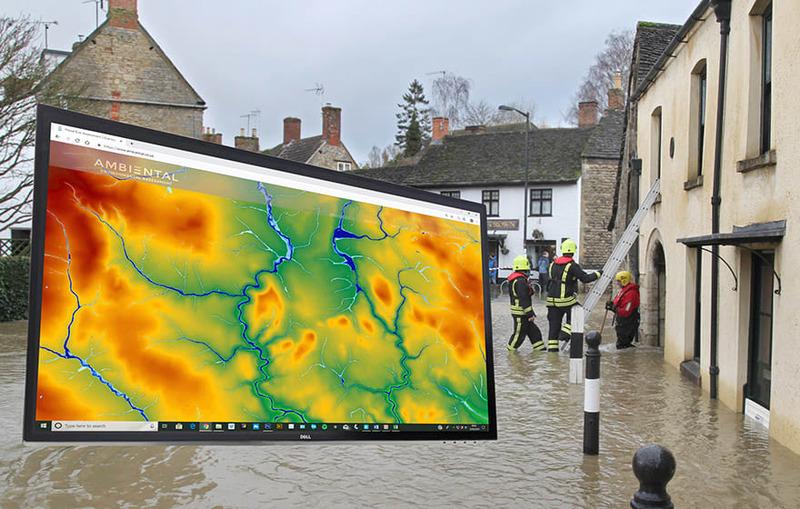 “Our flood map products are used around the world by insurers, government agencies, property developers and emergency response services to visualise, assess and understand potential flood risk,” said Mark Nunns, technical account and sales manager at ARA. “This means they need to be accurate, up-to-date and easy to use. Also known as bare earth models, the Bluesky height models were used to enhance ARA’s national scale topographic flood map dataset UKFloodMap. Using proprietary software Flowroute-i, ARA has integrated the Bluesky DTM data to provide an accurate ground elevation surface over which different water flows can be modelled. UKFloodMap includes all primary flood sources, including fluvial (river), tidal (sea, estuary, coastal) and pluvial (flash, surface water) as well as secondary sources such as flood defences, dam breaches and groundwater. UKFloodMap includes two layers of data – depths and velocities – offers a range of modelled return periods from 30 to 1,000 years and can be delivered in a range of formats including GIS (geographical information systems) ready layers and in database or API format, linked to all UK addresses via ARA’s FloodScore product suite. ARA is a leading provider of flood risk modelling and advanced data and risk analytics. Working across a range of industry sectors, but with a key focus on insurance, ARA offers a range of solutions, including flood risk insurance analytics and climate change adaption and a range of products including flood maps, property-level flood risk information and flood modelling software.